I was wondering if this was a true chaotic map and if it might have any interesting properties. As far as I know, there's no hard-and-fast definition of a "true chaotic map". But there are certainly some that everybody agrees are chaotic - for example, the logistic map, with its famous bifurcation diagram. For your map, I went ahead and generated a bifurcation diagram for the $x$-coordinates - specifically, in this graph, $k$ is along the horizontal axis, ranging from $0$ to $3$. For each value of $k$, I skipped the first $10000$ iterations, then plotted the next $10000$ $x_n$ along the vertical axis. 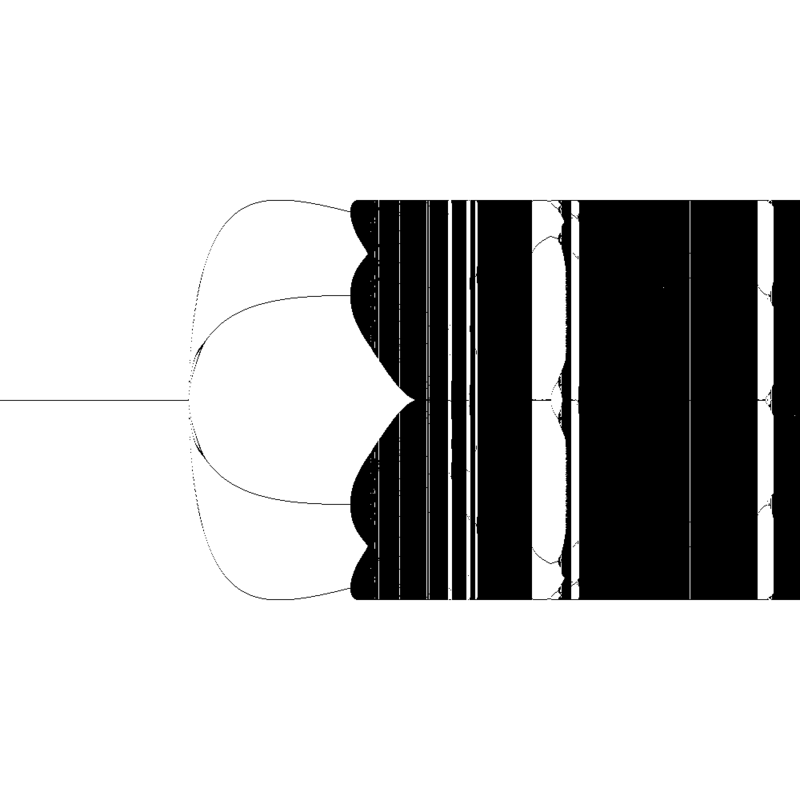 Those solid-black patches are chaos - even after $10000$ iterations, the $x$-coordinates were roughly evenly distributed across the interval $[0,1]$. But see those patches in the middle, where there are only a few points? Those are patches of stability, just like in the logistic map. That sort of behavior I'd call definitely chaotic. 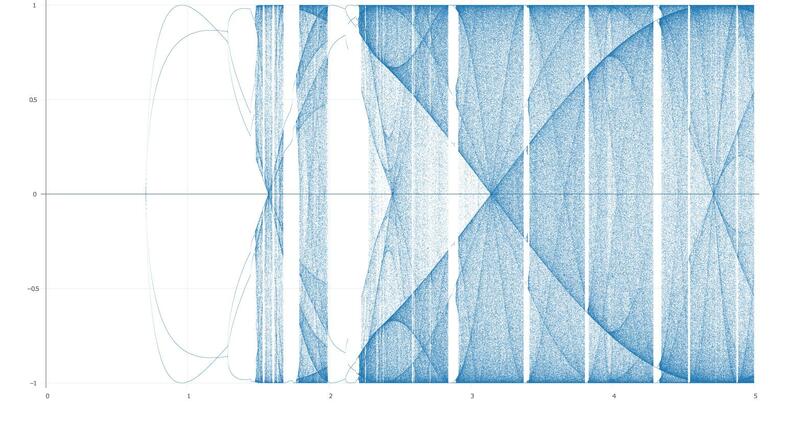 One interesting difference from the logistic map is that it looks like it degenerates into chaos very quickly, with none or virtually none of the period-doubling characteristic of the logistic map. Or possibly the period-doubling is happening, but too fast to be seen on this scale. Not the answer you're looking for? Browse other questions tagged recurrence-relations chaos-theory or ask your own question. Why is this family of dynamical systems able to produce spirals and clusters of points? Is this recurrence relation correct? Is this recurrence relation solvable? Is this recurrence relation valid? The recursive systems of equations with the following form, have they ever been considered?